Pioneers in the industry, we offer multi recharge software and payroll software from India. We are engaged in offering the most significant service and effortlessness the Recharging to our Prestigious clients. Due to Prosperous industry practice, we are involved in providing a broad range of Multi Recharge Software. Easy Recharge capacity is available for across India and the range is enormously employed owing to their reasonable rates and strong nature. In addition to this, our professionals have experience that helped them in offering this software in the best possible way. We are a renowned name in this domain, engaged in offering Payroll Software. We can help you automate your payroll system by developing payroll software that suits your specific requirements. 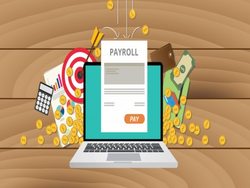 Our Payroll Software track all employee information like generating pay slips and salary register, based on the attendance of the employees taking care of leaves, overtime, allowances, advance, bonus, encashment and other standard deductions like PF, E.S.IC, Professional Tax, Income Tax etc. Flexible solutions designed to meet the payroll needs of your business. We sure about this Software that we provide Standardized Execution Process, Output of Consistent Quality, Reliable and Flexible.